Plattin Rock Boat Club was started over 53 years ago by a group of guys that loved boating and the great outdoors. Today, the club is enjoyed by over 400 members and their families. The club’s mission is to promote safe boating. We would like to give special thanks to all board members for the time they put into the club. They take time out of their day to take care of club business. Their commitment and dedication are appreciated! Thank you, from the Plattin Rock Boat Club members. 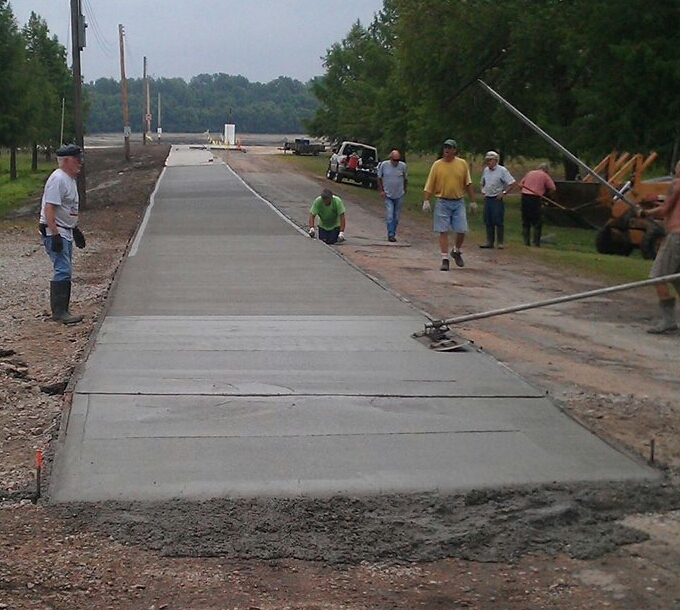 A new concrete road to the ramp has been poured. Thanks to the workers and Arnold Ready Mix for their contributions of their time and material. It looks great!! !